Sierra Sentinel News- Serving The Sierra Nevada Communities: Like haunted places? It's that Halloween time of the year and many are looking for haunted places to visit. 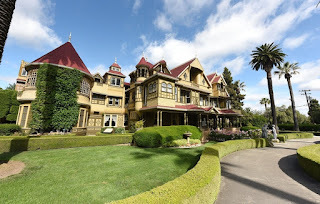 You might consider the Winchester Mystery House in San Jose, owned by Sarah Winchester, heir to the Winchester rifle riches. those killed by their famous weapons.